Lunarin unleashes their sophomore effort, Duae, 4 years after The Chrysalis. Plenty have changed but does these changes make Duae a better record? For starters, it is quite amazing to know that Duae was mostly recorded and mixed from a home studio set up. 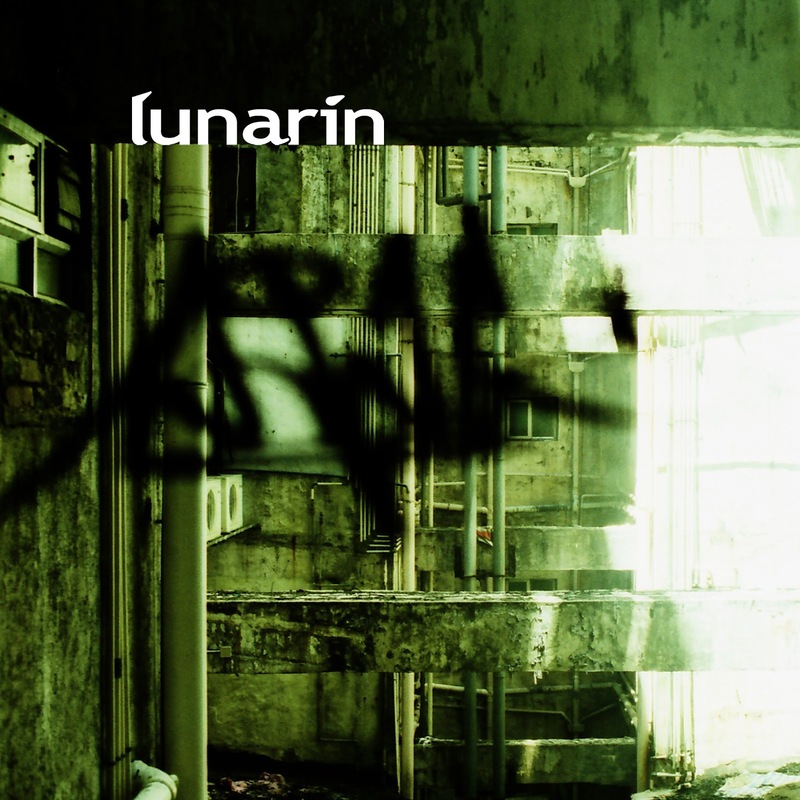 Though the quality of some of its tracks does bear its flaws, Lunarin manages to keep it together with their masterful riffing and unique songwriting. Hailing from Singapore, there aren't many bands that dares to venture out to the more darker side of alternative metal the way Lunarin has tried in Duae. Duae, starts off with a haunting piano piece, For Apollo, which draws you in for the face crushing intro riff of Midas. Reminiscent of Dry from their debut, Midas slows down to its verse as Linda sings "Touch me, can you taste me? Can you break me down?". Off-timed breakdowns with otherworldly riff-age from Kah Wye and Linda, Midas leads you Lunarin's first single, Zero Point Red (which has been reviewed here). Saturn, the second semi-instrumental track, bridges listeners to the much more complex parts of Duae; Red, Coralline, Icarus Rising and Serpentine brings forth the meat of most of Duae. Red, the second longest track in Duae at 8 mins 39 secs, is probably the most ambitious track in the whole album. With the introduction of Mandala pads, dual vocal layers at the 6 min mark (or whatever it's called) and an intense off-timed breakdown towards the outro, you may get pretty amazed at what a home studio could do. Coralline is the first track that has a second vocal backing from another member of the band and is a return to the old Lunarin sound from The Chrysalis era. However, the next two tracks, Icarus Rising with its addictive chorus and heavily-chorused guitars and Serpentine's dual vocal parts are tracks that further cement the fact that Lunarin has definitely grown over time and aren't releasing Duae based on the same formulae used for The Chrysalis. As the album nears closure, To Forget, The Sky (Algiers) and Solus Nebula eases the adrenaline jolt from earlier tracks with two of the tracks being instrumentals and The Sky (Algiers) serving as a mellow bridge between the tracks. The Inquisition, the finale track for Duae and the longest track in the whole album, makes sure that the aggression of Duae does not die out by the mellowness of the previous 3 tracks with its intense drumming, and heavily riffed guitar and bass lines. Ending near the hour mark, Duae is an album that shows alot of the ambitions from Lunarin. Some of them are met, while there are others that fall short of expectation, but overall, Duae is worth listening to if you enjoy music that is outside of the genre-riddled rock/metal spectrum of music. Lunarin manages well with their home recording efforts, but there are certain areas where you could not help but think that the track should have underwent some sort of polishing, notably the sounds of some of the drum parts (crashes,splashes, etc) are pretty fake due to the fact that it was recorded through a digital set and the drowned out guitar parts in some of the tracks when it should have been made to the top of the mix. The latter could have been intentional, but one could not help but wish it would be the other way around. As far as strengths and flaws are shown, Lunarin has done a great job in Duae and those fans that have been waiting for 4 years for it are definitely in for a treat.